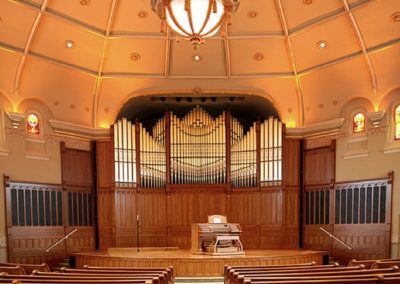 When the Central Avenue United Methodist Church in Indianapolis closed as a victim of population shifts and an ever-shrinking congregation, the Old Centrum Foundation tried to operate the building as a home for small nonprofits. 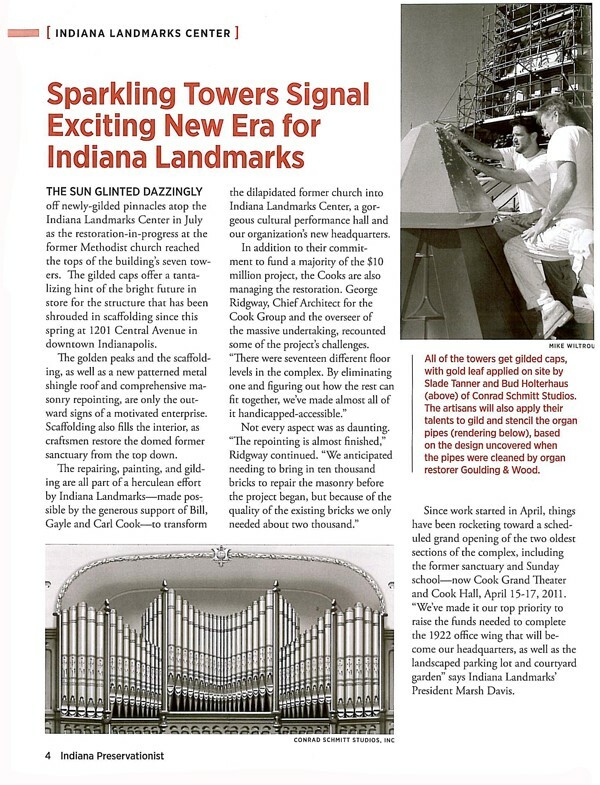 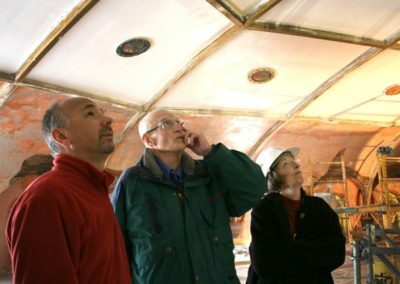 By 2008 the foundation recognized that it could not adequately maintain the structure and in 2010, the Indiana Landmarks intervened to save the endangered, architecturally outstanding building. 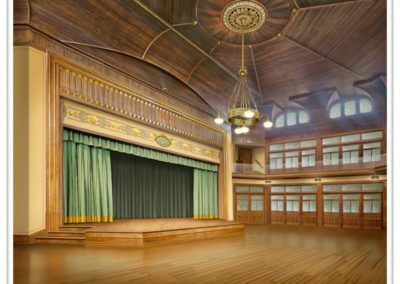 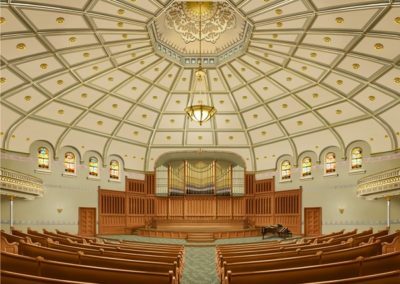 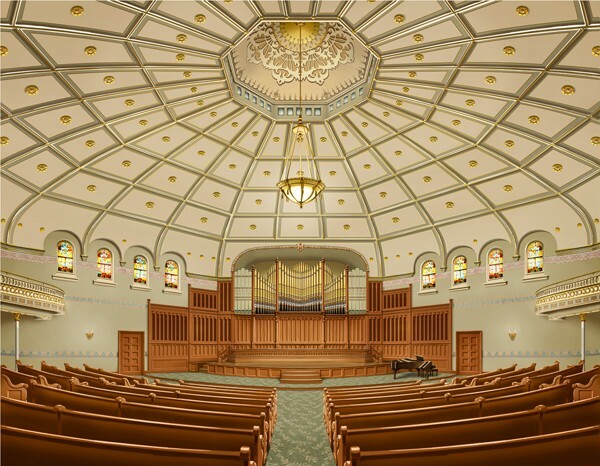 An exciting new era for Indiana Landmarks was solidified with the transformation of this former church into the Indiana Landmarks Center, a gorgeous cultural performance hall and the organization’s new headquarters. 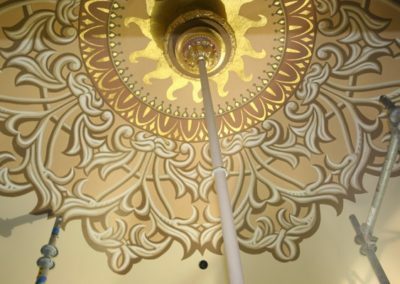 On the exterior, CSS applied gold leaf to the caps of the seven towers, offering a tantalizing hint of the bright future for the structure that had been shrouded in scaffolding in downtown Indianapolis. 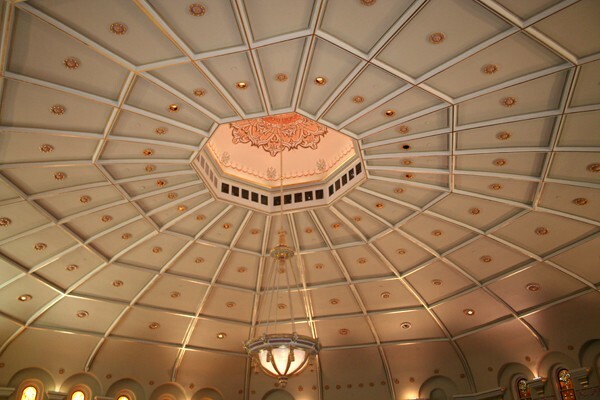 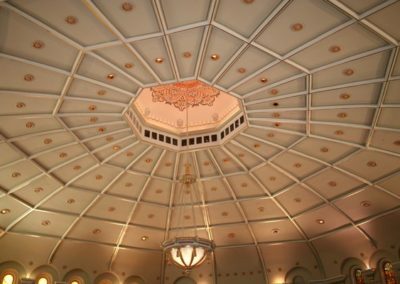 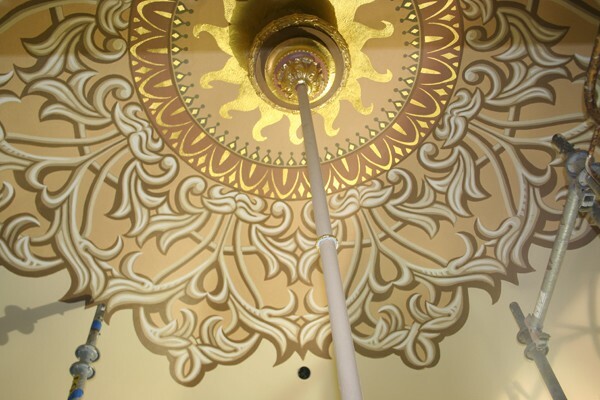 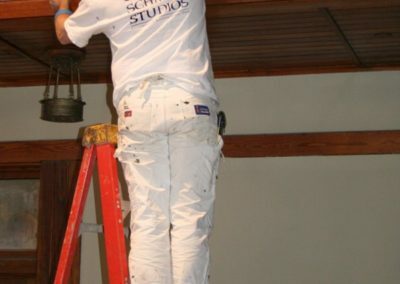 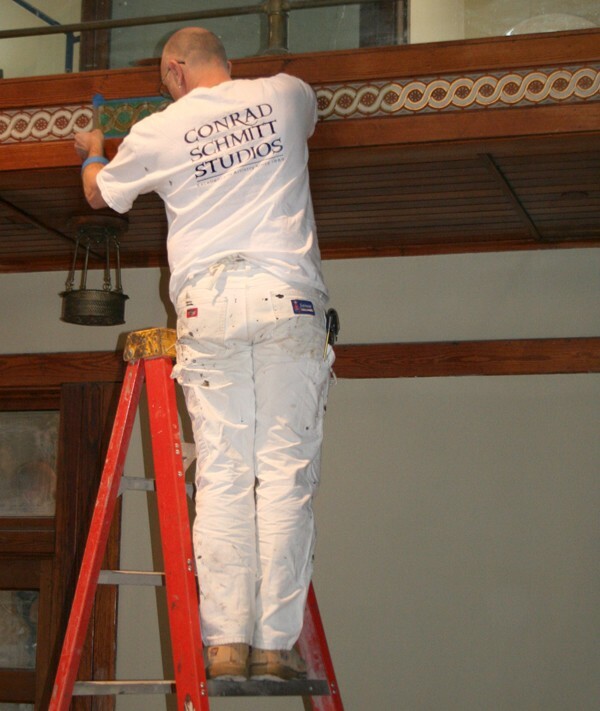 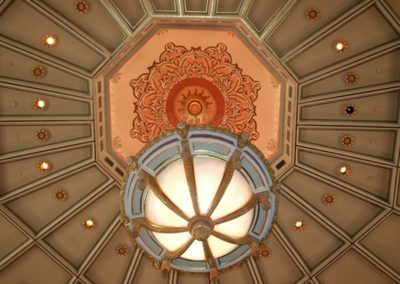 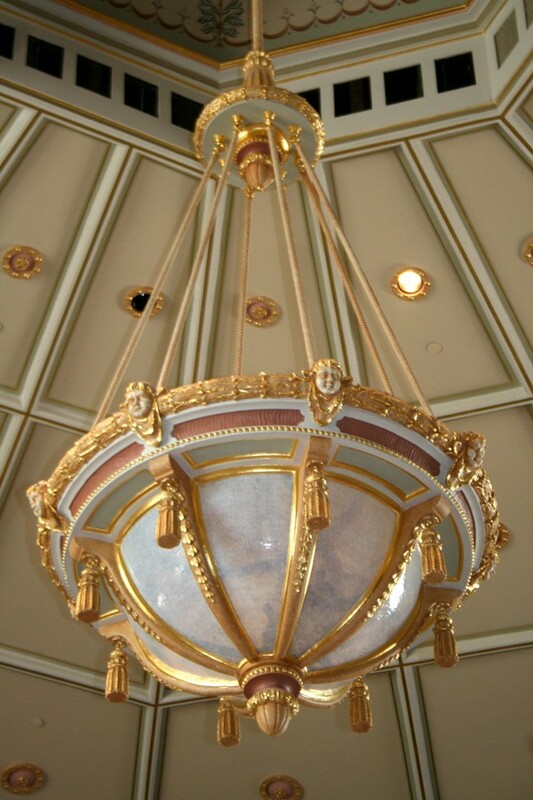 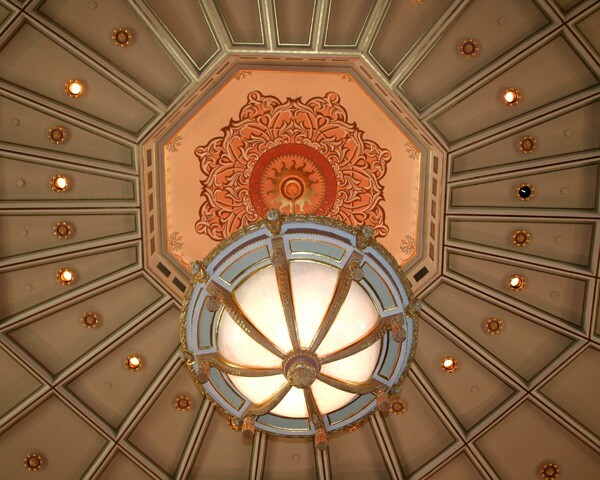 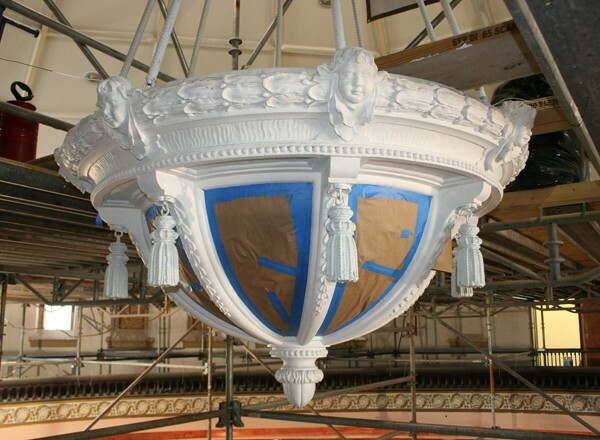 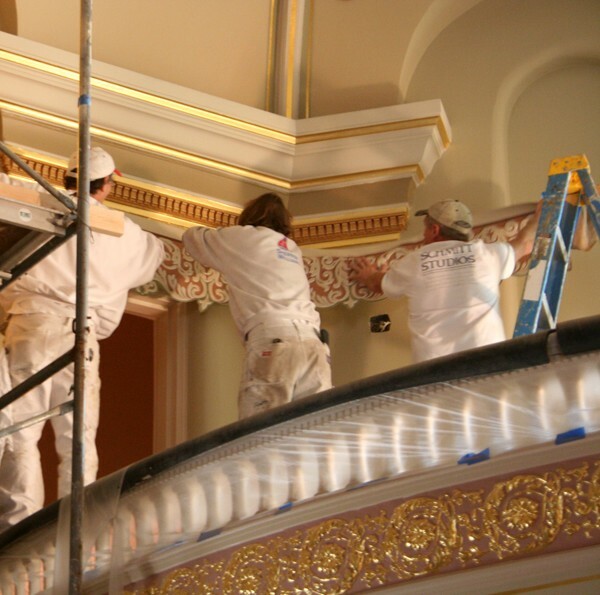 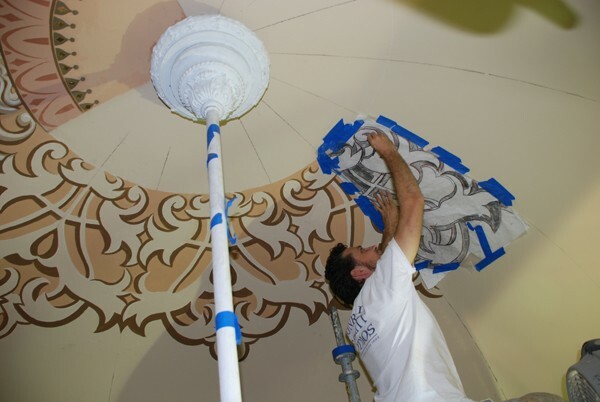 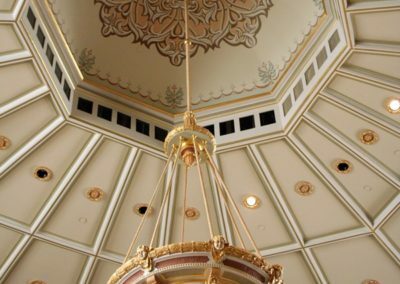 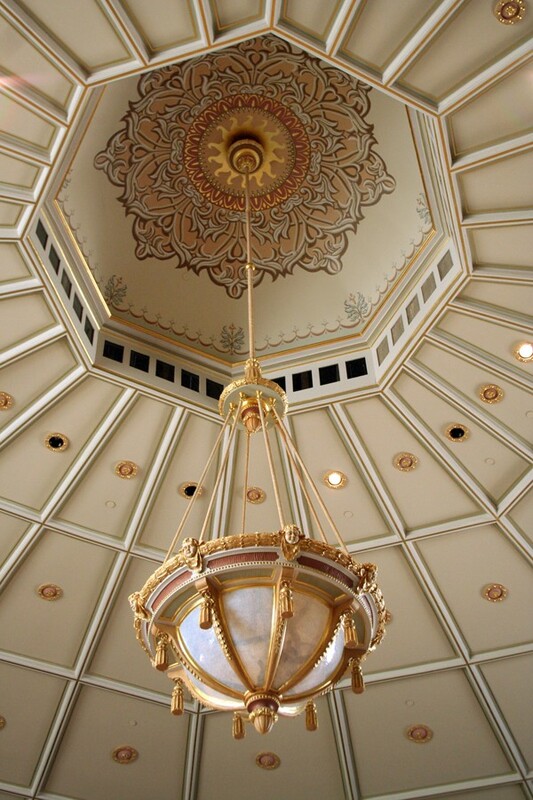 Scaffolding also filled the interior as CSS craftsmen restored both the former domed sanctuary and the Sunday school from the top down, repairing, painting and gilding to create the new interior decorative scheme for what is now the Grand Hall and the Cook Theater. 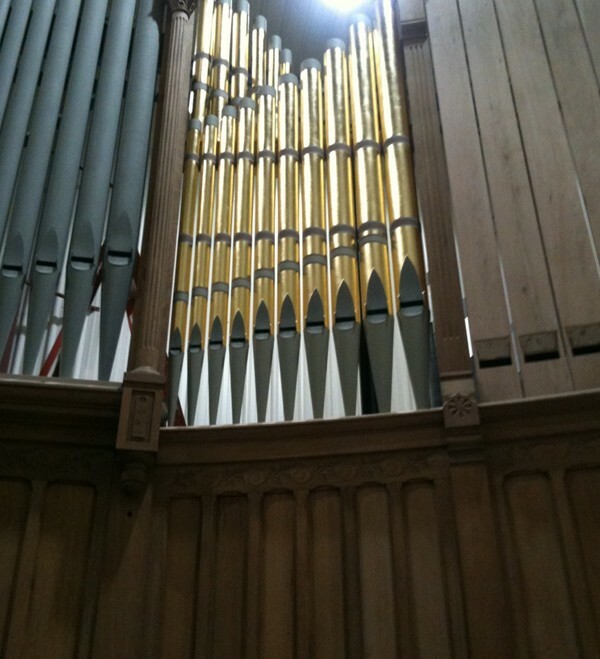 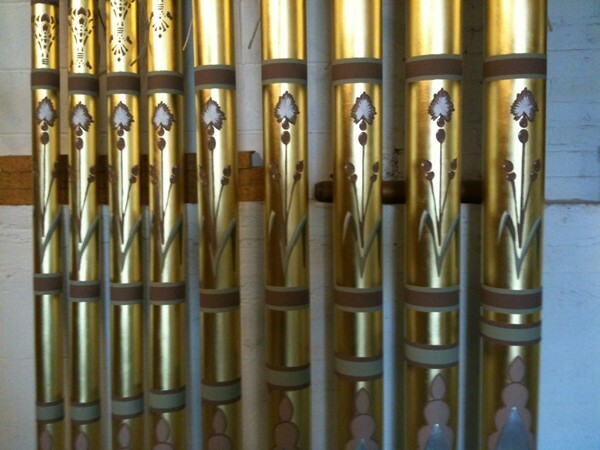 Included was the restoration of the historic organ pipes. 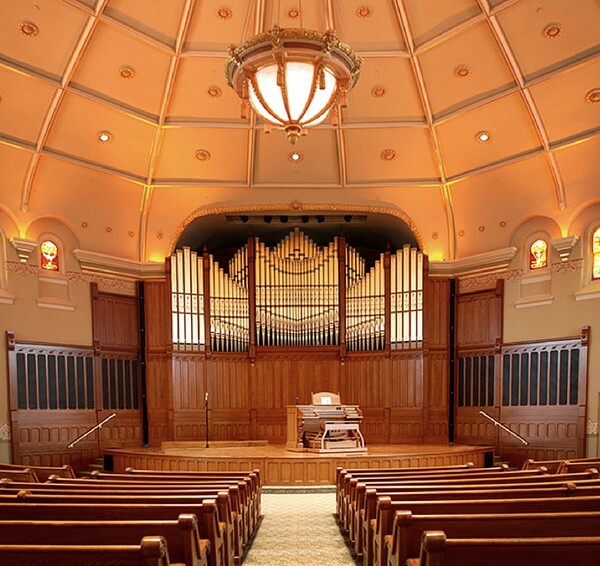 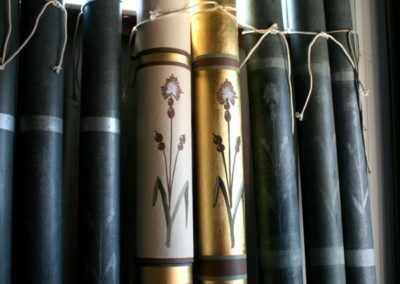 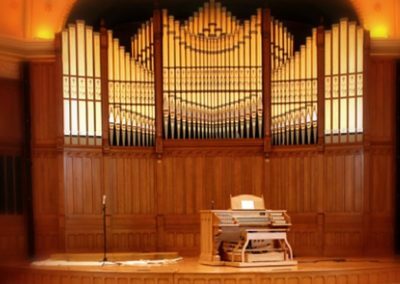 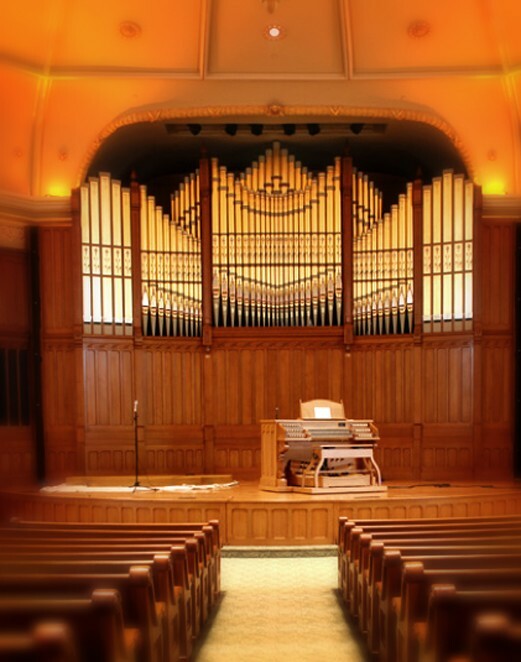 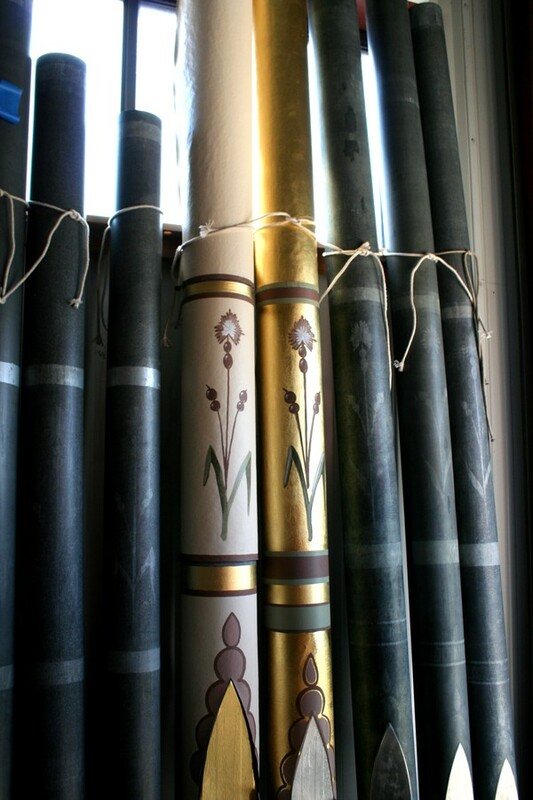 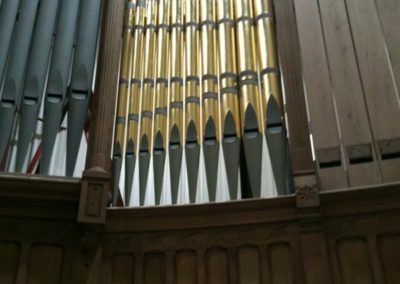 The artisans applied their talents to gild and stencil the organ pipes based on the designs uncovered when the pipes were cleaned by organ restorer Goulding & Wood. 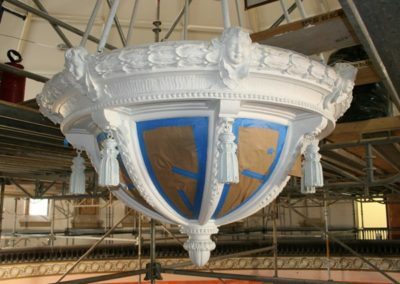 The restoration work was all part of a Herculean effort by Indiana Landmarks, made possible by the generous support of Bill, Gayle and Carl Cook. 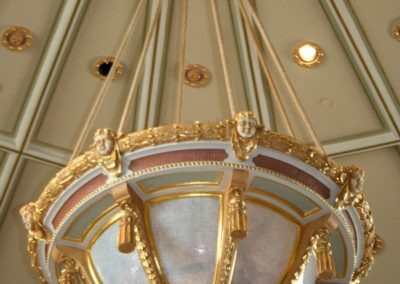 The Cooks have previously restored the West Baden Springs Hotel and the French Lick Springs Resort in southern Indiana. 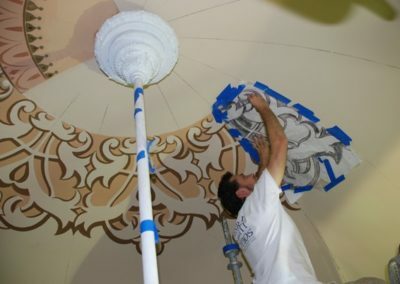 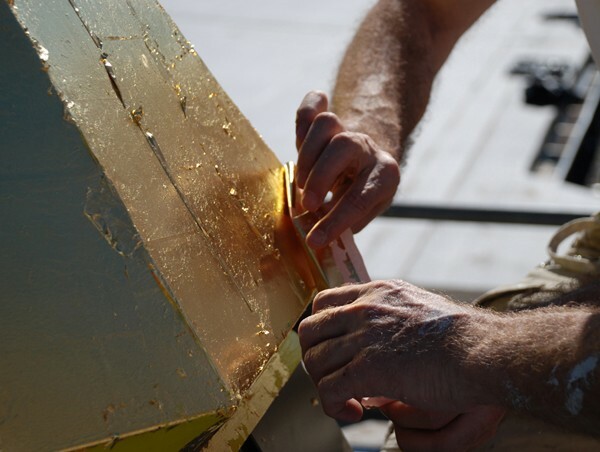 In addition to their commitment to fund a majority of this $10 million project, the Cooks also managed the restoration. 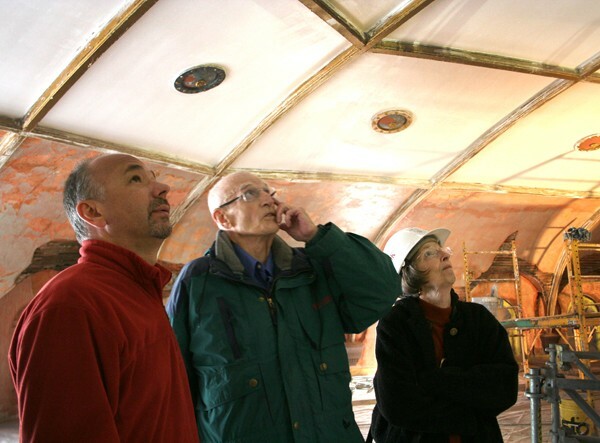 George Ridgway, Chief Architect for the Cook Group oversaw the massive undertaking. 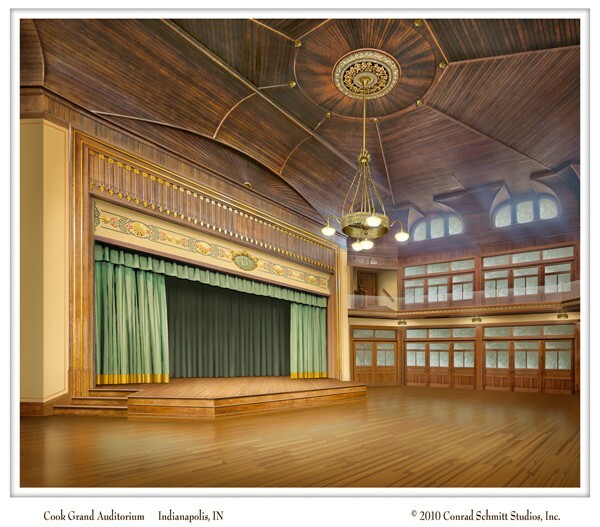 On April 15th, 2011, just one day before the Grand Rededication of this beautiful Indiana Landmarks Center, Bill Cook passed away. 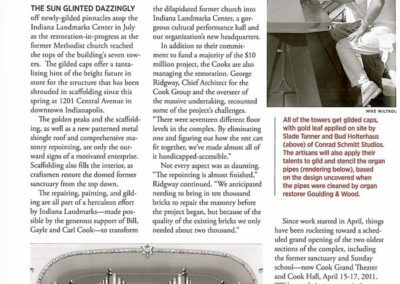 At the opening gala, friends, family and even rock legend John Mellencamp celebrated his life at the place that personifies his legacy. 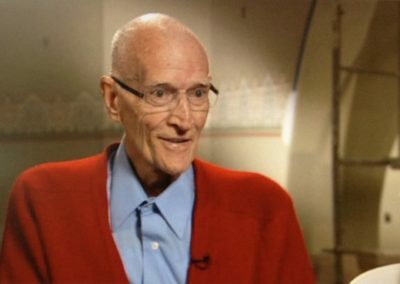 There were cheers and applause rather than a moment of silence for Bill Cook. 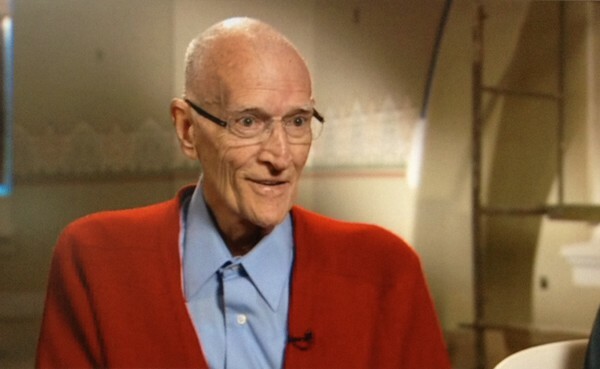 Family members say it’s how he would have wanted it.